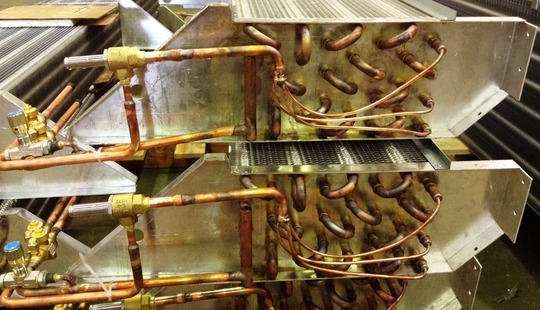 We have extensive experience in manufacturing CO2 Evaporator coils of all types and have been doing so for many years. 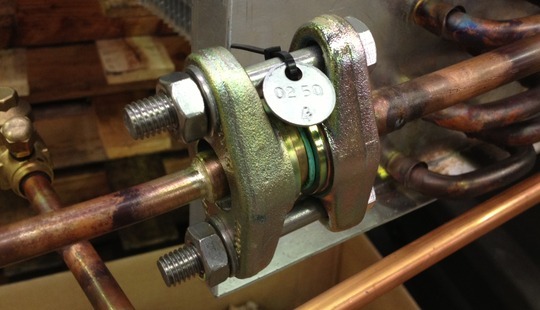 We can assist with design of your coil to ensure it meets the latest BS EN 378 requirements whether you have a sub or trans-critical CO2 system. 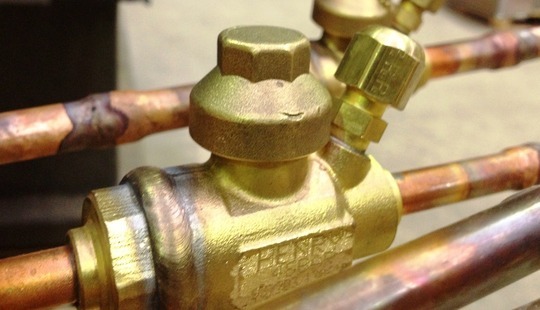 Beehive manufacture to the highest quality levels using heavy duty copper tubing and brazing materials to ensure our coils are fit for purpose. 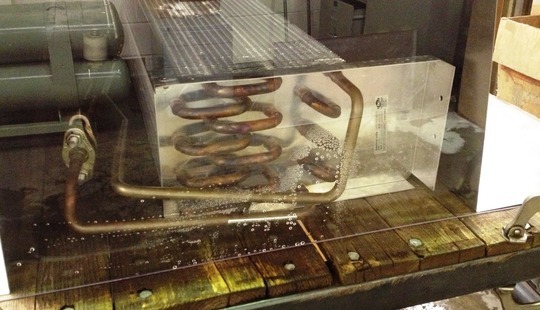 Our testing labs fully test and pass every coil before supply and all are tested to very high pressures in line with the recommendations listed in the BS EN 378 standard. 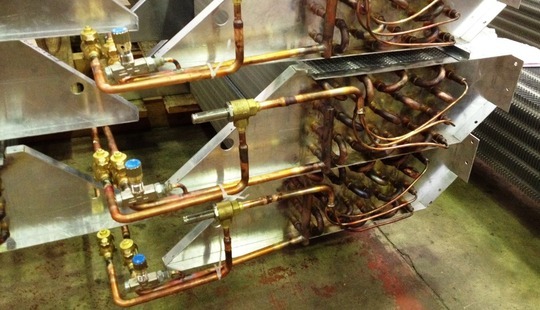 Our CO2 Evaporators are generally produced for maximum working pressures of 45 or 75 BAR although we can manufacture for working pressures in excess of 100 BAR if your system asks for it! "Beehive innovate continuously to ensure we are offering our customers the latest and most economic CO2 technology around"
In addition to the above, we are also actively working 1 on 1 with our tube suppliers to develop more advanced/economic tubing for CO2 coils to give the same strength levels as the heaviest walled material we use but with improved performance and at a cheaper cost. Just speak to our technical department for more information. 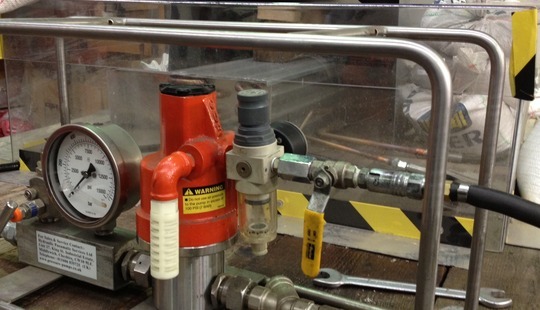 We can also offer our Destruction Test facility for customers or end users who would like to see the burst pressures of our CO2 coils first-hand for peace of mind or if required to do so for project sign offs.